God in His grace allowed me to experience this amazing truth during my recent trip to Haiti. Almost 12 years ago now, Tom and I found it necessary to remove ourselves and MFH from the Pignon. Raphael area (which I refer to as “the North”). A particular Haitian leader in our church, whose vision had turned to materialism rather than the traditional Gospel/discipleship focus that my parents followed, began to resist our leadership role. In order to maintain a certain level of peace, we decided to move from the North to the southern part of the island where my parents had also worked. Part of our decision was based on my mother’s last words to me just before she went Home to be with the Lord. “If the church committee is manipulated into a different perspective by this Haitian leader, just walk away, because your dad and I did not come to Haiti for anything other than a strong Gospel focus.” Some six months after she made this statement, it happened just as she had predicted! Up to that point we were deeply involved in graded discipleship programs. One of these concentrated programs was called “Etid Elsie,” developed for 11- to 17-year-olds to teach them Bible doctrines. I worked with 87 students. To make a long story short and to proclaim the faithfulness of God’s Word, I will skip all the way to how God’s Word held my precious Elsie students, though they suffered from our decision because we had become so close. I didn’t realize their distress until I was there this time and heard them express it to me. The following statements are representative of the testimonies that poured from their lips as they shared with me. “We were devastated when we realized you were gone and we wouldn’t see you anymore.” “We were sick for days on end.” “We didn’t know what to do with ourselves.” “Finally we pulled ourselves together and decided that we had to follow the line of discipline and the doctrines we had learned.” “Today, we are stronger and more faithful to the Lord because of the things we learned from God’s Word.” Also, I was amazed to learn that seven of the young men who went through the Elsie program have now completed other forms of theological training for the ministry, or in some cases are still in the process of such training. They credit their appetite for the Word of God because of the Elsie program. How gracious God was to let me see the fulfillment of the above verse before my very eyes!! After being gone for 12 years, my visit to Pignon this summer blessed me beyond words! The line of visitors to my house never stopped. They came, and they shared! Not only did the young people describe what the Word of God had accomplished in them, but also the older generation from my parents’ time shared how the Word my parents had given to them accomplished the same. Praise God for His amazing and faithful promises!! 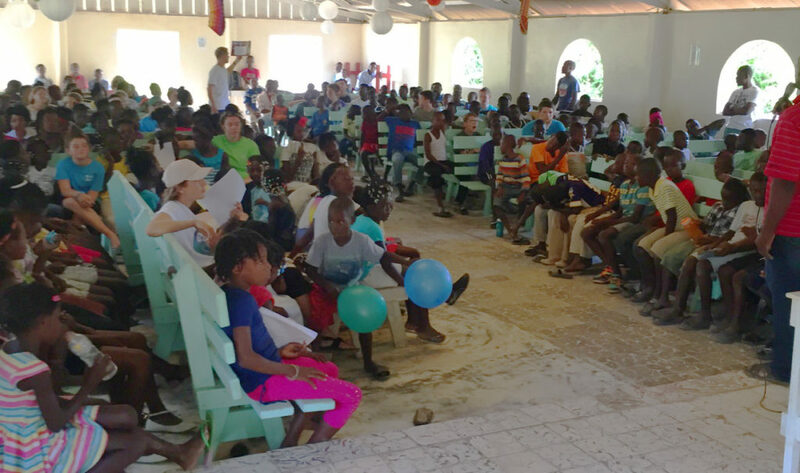 The camp was in a rural area of Pignon. There were 300 in attendance, 92 professions of faith, and 74 other decisions. Please pray for these young people who made decisions! 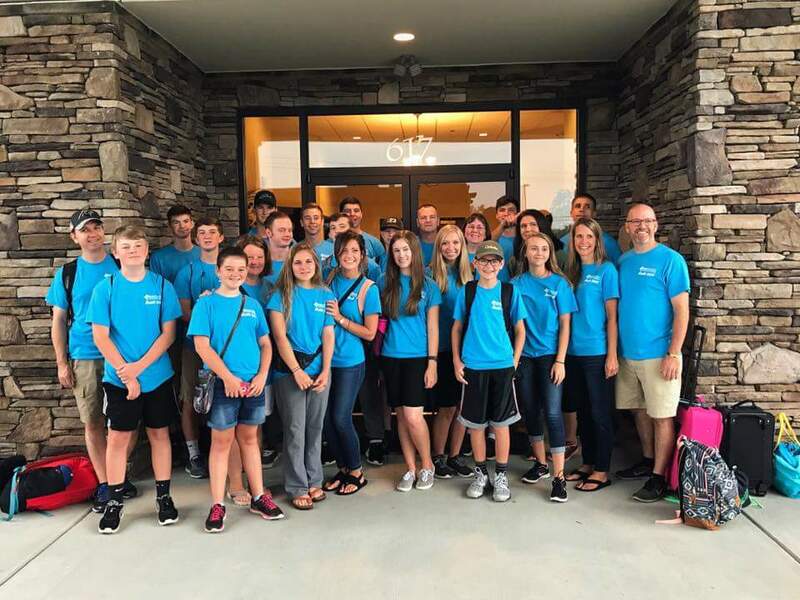 Pastor Mike Knight from Community Baptist Church, Garner, North Carolina, came with 24 young adults from his church who ministered through song, testimonies, challenges, and messages. This group was a tremendous blessing to the camp. On Sunday morning, Pastor Mike preached in our Pignon church, and the group did a silent drama in the evening service that the Lord used to challenge many. We offer our deep thanks and appreciation to those of you who supported this camp.